noir crime drama, and Shamo (2007) the dystopian manga inspired martial arts action. bad guys and then more and more concerned about on which side he should stand in the fighting that ensues. hospital treatment with expensive medicines and also, finally, a bone marrow transplant. Surprisingly, Unda Kunteera Thordchanng who plays the young Sa is great in her first film, a future thai film star? whereabouts of the gang. But it comes with a prize for Chi-Kit as he has developed a drug habit to fit in with the crowd. After a chaotic but nicely done shoot-out at a Hong Kong boat cruise depot he finally somehow lands in the thai prison. way, he's sickly and needs an organ himself, a heart transplantation with his unwilling brother as the planned donor. the Hong Kong Cop, finally. Well, you didn't think Tony Yaa really would be a Bad Guy, did you? idea? This film feels like 2 films crammed into one, but that's OK if we get to see Tony and Wu Jing together i guess. speaks thai and Wu Jing's Chi-Kit speaks cantonese and they communicate by using their smart phones translation app. 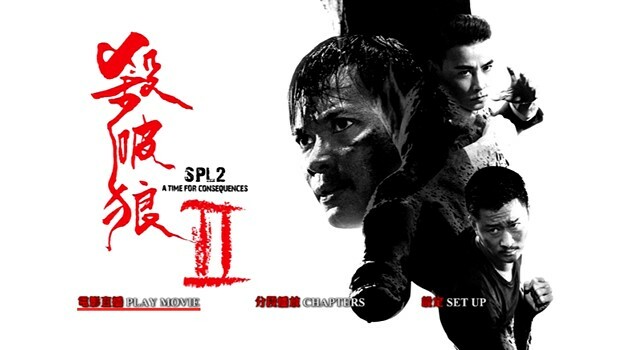 Highly recommended for all lovers of martial arts action and dark crime drama (99 % guys possibly?) and Tony Yaa.